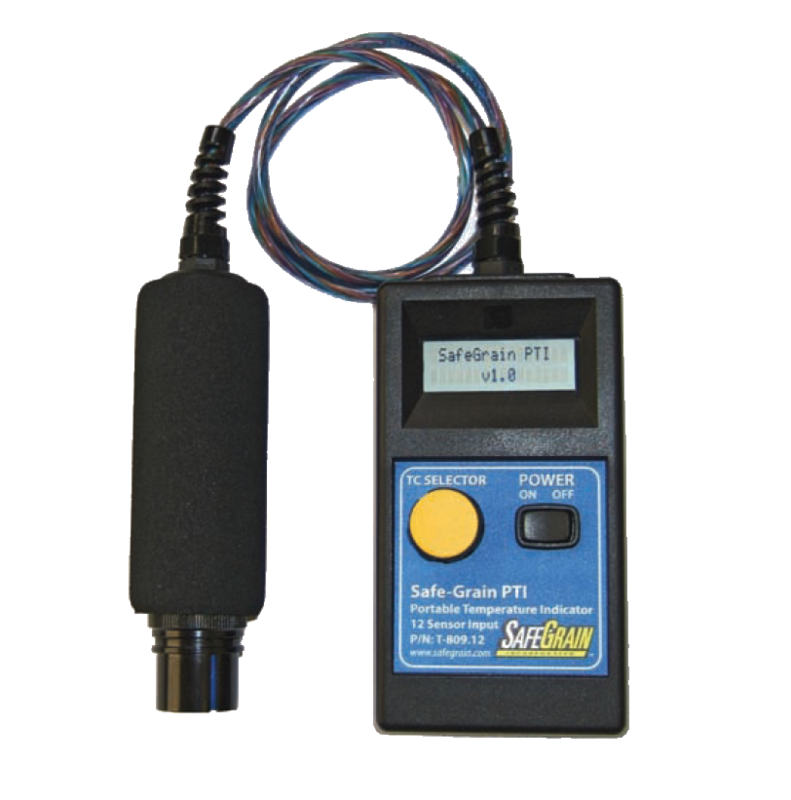 Portable: SSD and PTI™ Handheld Units – Safe-Grain, Inc. The latest generation portable reading instrument. Easy to read full color display. 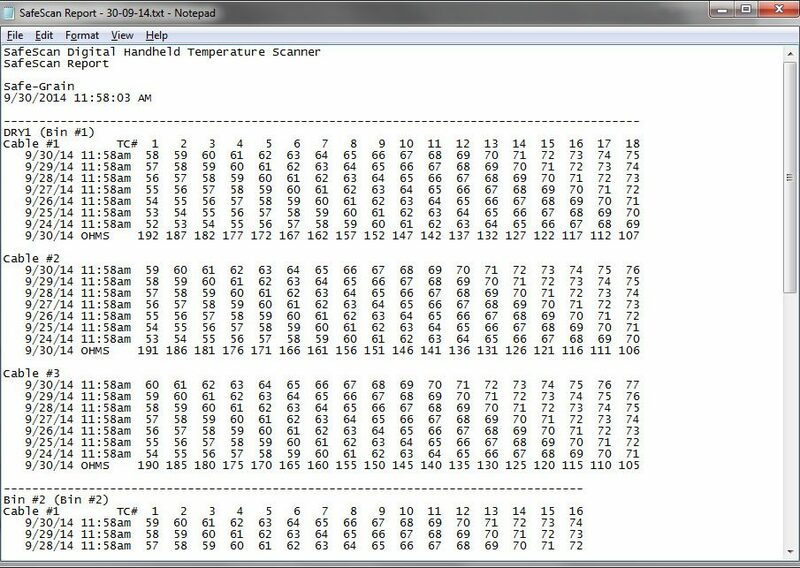 Saves the 7 most recent temperature scans and an Ohms scan. Battery powered, rugged IP67 case. 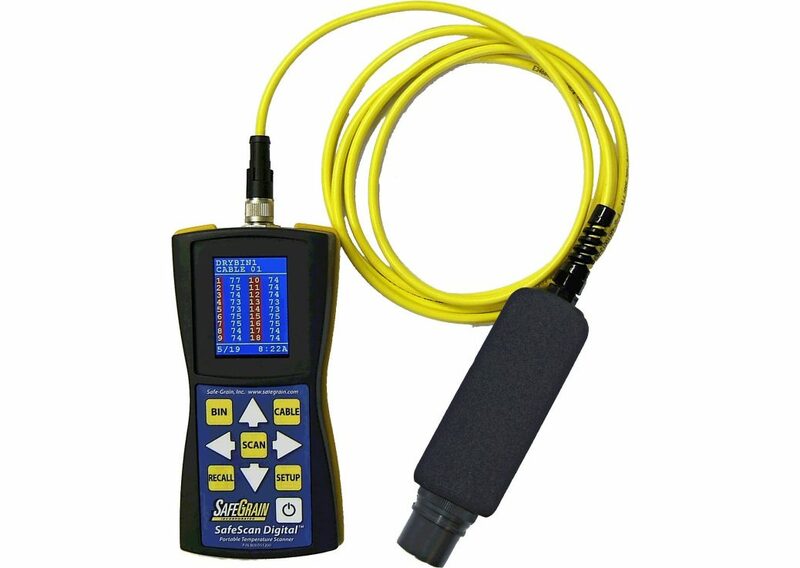 Optional SafeTrack cable for reading SafeTrack Scanners. 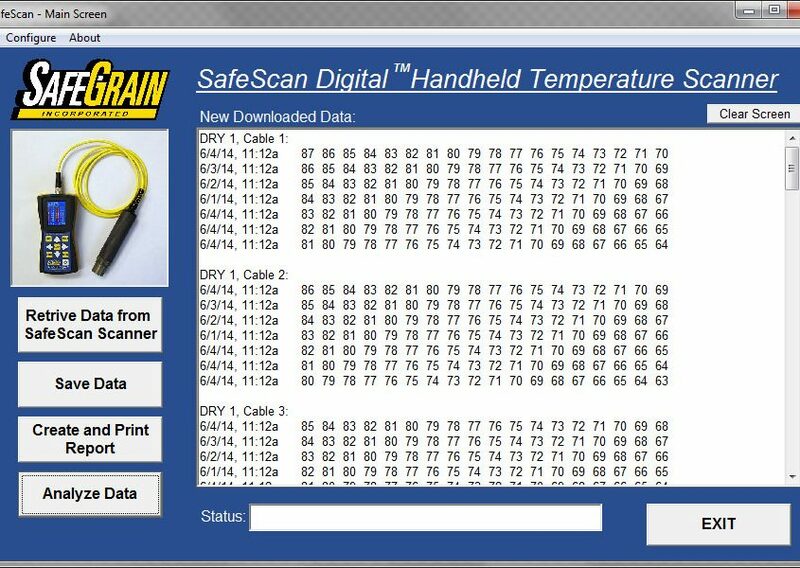 • Download, View, Graph and Analyze data from the SSD handheld scanner. • Data Graphing and analysis for quick spotting of trouble areas. 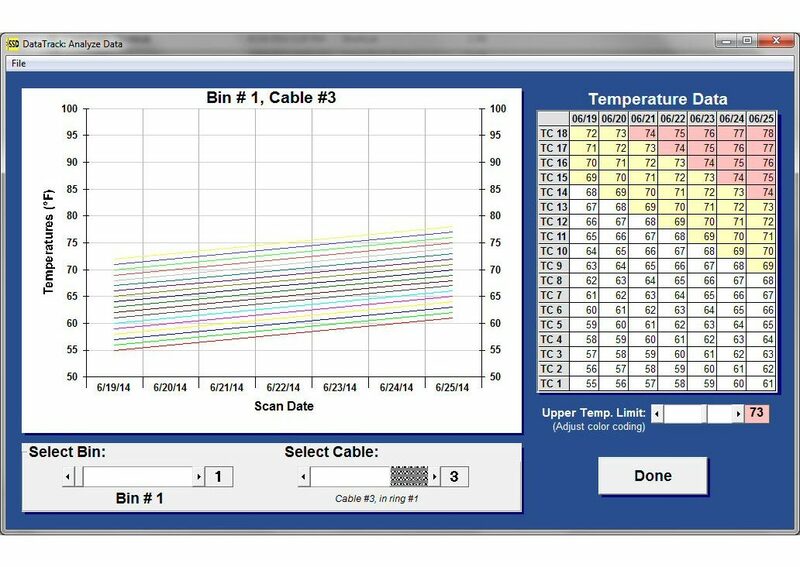 Easy to use for reading thermocouple temperature cables. Reads one thermocouple at a time. Logbook provided for recording readings. Magnetic Mount holds the unit while you record the data. 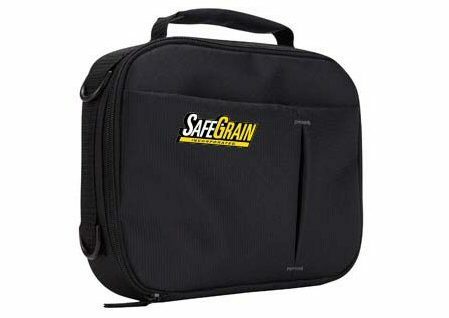 Safe-Grain enclosures are the best on the market. We feature true military spec reading plugs and the most secure “leadwire” fastening method in the industry. 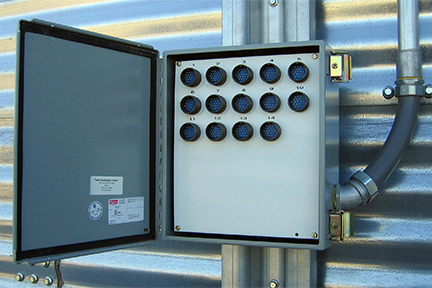 Heavy duty NEMA 12-13 boxes feature cable and bin identification. 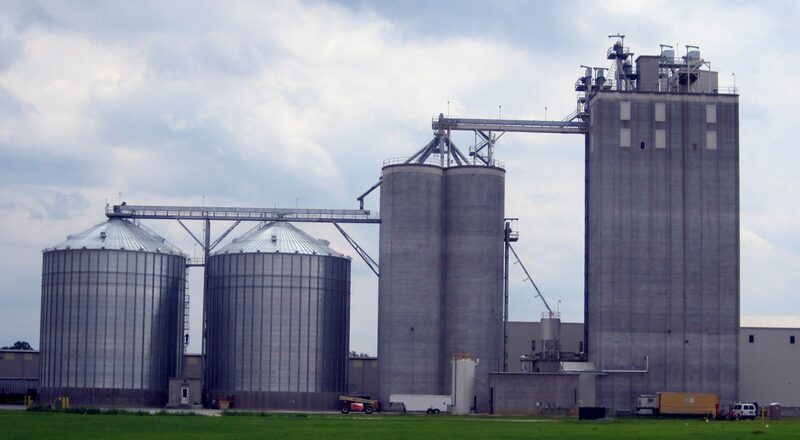 Compare our unit to any other and see why Safe-Grain is # 1.